Great article. Answered a lot of questions about Nixon and these scandals. Thanks! Some questions will remain unanswered…but then, we’re in the middle of a debate over whether it’s possible that we know the identity of Jack the Ripper. Who knows that historians and investigators, 100 years in the future, will be able to uncover from beneath Nixon’s folds of secrecy. I think it’s pretty clear to anyone studying the history of 1968 that Nixon did indeed try to interfere with the talks, though we’ll never have a smoking gun, and we’ll probably never know what they said. I can’t imagine John Mitchell involving himself like that without Nixon’s permission, and Nixon himself introduced Chennault to Bui Diem that summer. Of course, another important part of the debate is whether this actually made a difference in the war or even the election, and most Nixon scholars agree it didn’t. The South Vietnamese didn’t need the help of “that rather silly woman” to figure out that the GOP offered them a better chance of survival, and they were open about the fact that if LBJ recognized the VC at Paris, they wouldn’t cooperate. There is one important part left out of all of this that goes against this thesis. Nixon regularly gave hair-raising orders when he was in an impulsive mood that most of his aides knew to ignore. Moreover, Nixon himself expected them to let him forget about it or let him have a second crack at it when he had calmed down. (He once ordered Kissinger to bomb Damascus airport and then forgot about it the next day). Part of what might have caused Watergate were aides taking a rant of Nixon’s literally. 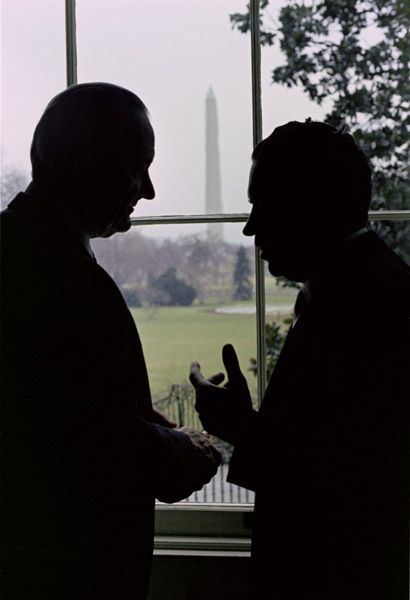 I’ve never found any evidence that Nixon ever brought up the Brookings Instution again after that summer. Next Next post: 14 Reasons Susan Sontag Invented Buzzfeed!